Posted on June 29, 2015 by Monsieur K.
Peter Evans / trompette piccolo, trompette, Okkyung Lee / violoncelle, George Lewis / électroniques, trombone, Ikue Mori / électroniques, Sam Pluta / électroniques, Ned Rothenberg / clarinette basse, clarinette, shakuhachi, Evan Parker / saxophone soprano. Recorded: Live at the 30th Festival International de Musique Actuelle de Victoriaville May 18th, 2014. 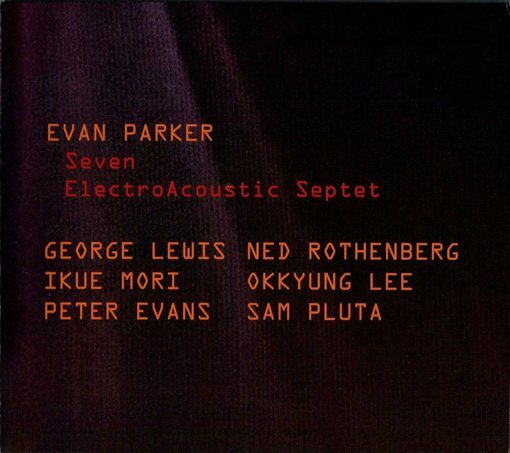 Seven presents a compact, slimmed down, lean version of Evan Parker’s Electro-Acoustic Ensemble. The expansive, texturally rich music of the septet brings to mind the edgy feel of early free improvisation. “My art of composition consists in choosing the right people and asking them to improvise. 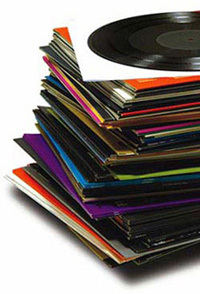 The resulting music arises from this sequence of decisions. Of course, it is not quite so simple; for choosing the “right people” entails a knowledge of who those people are and what they might bring to the improvisational discourse. 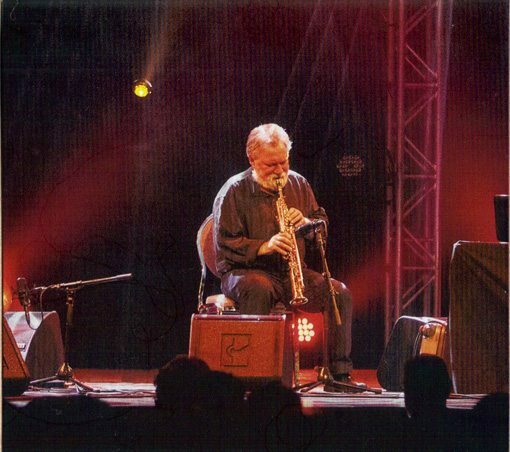 In this case, two of the acoustic instrumentalists – Rothenberg and Evans – are players who, in forging their own identities, have fully entered into Parker’s own mind-bending, circularly-probing musical methodology. 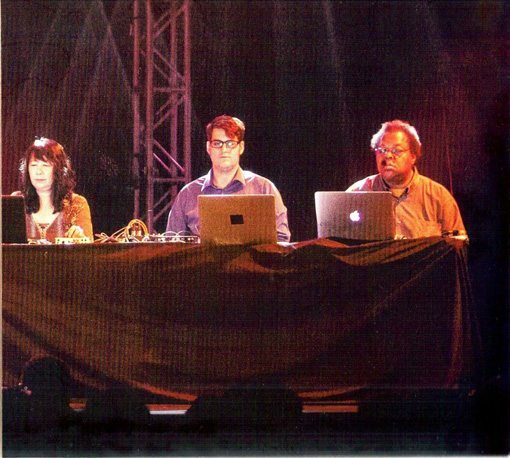 The four electronics players (with Lewis doubling sparingly but incisively on trombone) approach the electro-acoustic gathering differently than the way players normally do in Parker’s large ElectroAcoustic Ensembles. While in those ensembles, the electronic players have been mainly signal or sound processors who primarily reshape and remold sounds of other ensemble members, here the electro musicians do that only moderately. 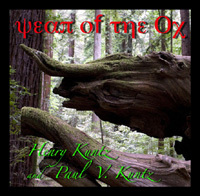 Through varied technical means, they emit a distinctive particulated sound field that exists as an interactive but dimensional counterpoint to the acoustic instrumental output. Much of the edginess of Seven stems directly from this. 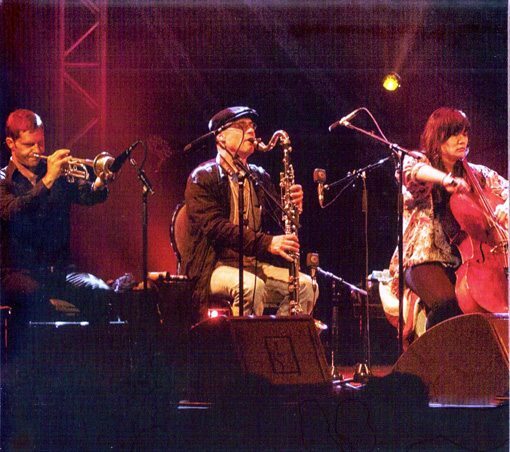 For while the performance (in two parts) has the feel of a true organically-arrived-at ensemble music, the respective acoustic and electro players – due to the entirely different manners in which they are producing sounds – follow different “logical” trajectories. 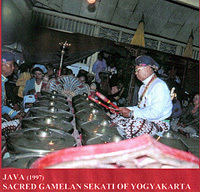 The two “logics” together in the one musical space create a good deal of the music’s inner tension. 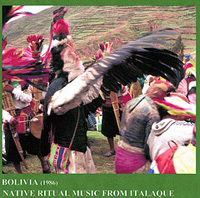 It is worth noting that in early free improvisation – say from the period of Topography of the Lungs (Incus 1, July 1970) onward – much of the tension in the music – which is the push-and-pull between known and unknown, cohesion and dissolution – was due to the players’ courageous ongoing expansion of instrumental language. But players have pushed language to its virtual tipping point; so that what once sounded outrageous and demanding of innovative responses is now heard as commonplace. So presently, it seems, formal expansions – such as we hear in the collusion of logic differentials in this music – may be more the way forward. To be sure, both the acoustic and electro musicians of Seven are at the top of their games. While there is an overarching dramatic contour to the music – it rises and falls, opens and closes, shifts densities – the whole unfolds with unselfconscious effortlessness; it feels unscripted and of the moment. The acoustic players, while sensitive to each other, pursue the inner and outer ranges of their instruments with an independence tempered only by self-imposed structural imperatives. Evans’ trumpet frequently masks itself in electronic-sounding metallic and breathy slurs. 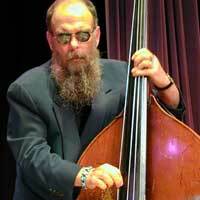 Lee’s stringy cello pulls and tugs at the direction of the ensemble or gets lost in staccato electro barrages. Rothenberg opens and ends the long first piece on shakuhachi which, in the midst of atmospheric electro rumblings, might pass for music from a Japanese sci-fi samurai film. And Parker – always a sympathetic co-conspirator – lends full support to his musical compatriots on his most agile instrument, the soprano saxophone, which he alternately rides to levels approaching the complexity of his solo music. The electro players for their part – I am unable to differentiate between them individually – counter the acoustic sounds with otherworldly smears, stutters, sloshes, and scribbles; or explosively pointillistic sparks, crackles, gurgles, and prickly static. 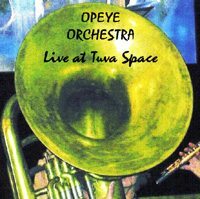 It all adds up to exceptionally stimulating music for the listener, at the center of which is an edginess we’ve long associated with classically great free improvisation.